The explosion was deafening; the impact of the blast, indescribably violent. While on patrol, running combat security operations in Iraq, Chad Jukes’ vehicle had rolled over an anti-tank mine. In an instant, his entire life, his love of the outdoors, his ability to simply walk or run, would be altered forever. Or would it? Even before the love of mountain climbing took hold of him in high school, Jukes had always been active in the outdoors. He grew up in Smithfield, Utah, hunting, mountain biking, hiking and backpacking and loved being out in nature in just about any form that took. As he lay in a hospital bed with a broken femur and a shattered, MRSA infected heel, he was desperate to know how his injuries would affect his ability to ever stand atop another peak. He posted about his situation in an online forum and soon received an email from a respected adaptive mountaineer –and co-founder of Paradox Sports– Malcom Daly. At 25 years old, Jukes made the difficult decision to amputate below his right knee so that he could continue to stay active and pursue his love of the outdoors. 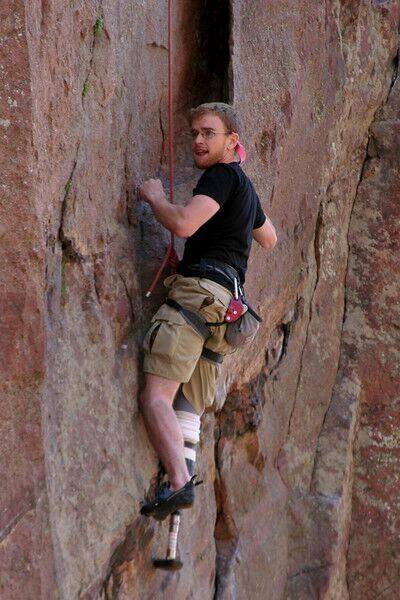 He wanted to get back into climbing as soon as he could and decided to attend an adaptive climbing get-together -the newly formed Paradox Sports’ first official event in 2007. 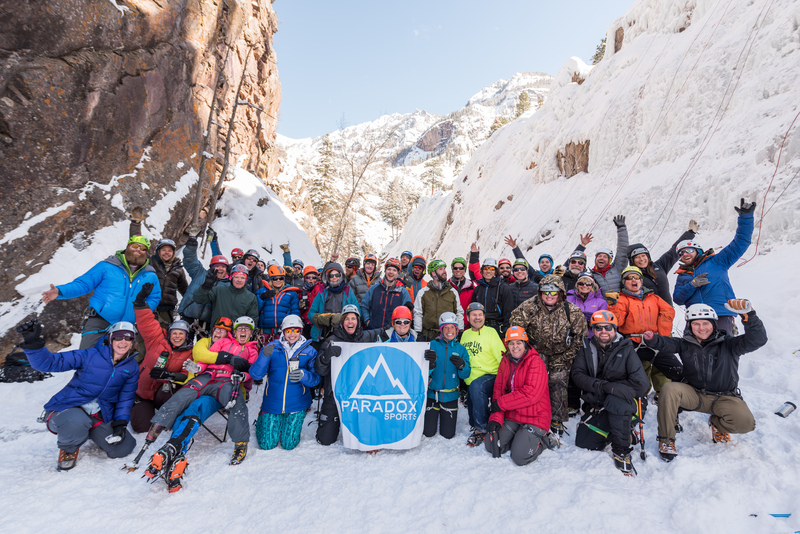 Later, Jukes was also introduced to ice climbing via Paradox Sports, at the Ouray Ice Park in Southwest Colorado. 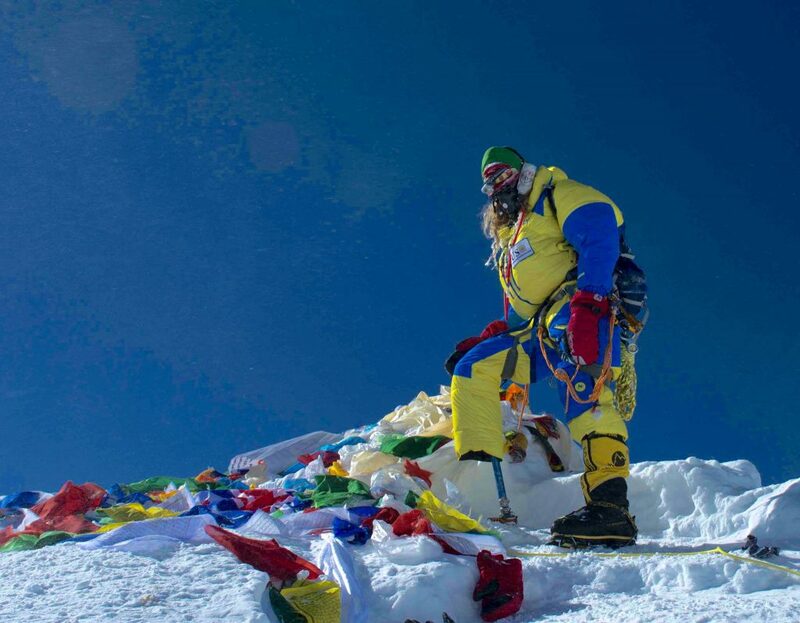 In May 2016, nine years after first climbing with Paradox Sports post-amputation, Jukes summited Mount Everest. This climb can change your perception on mountaineering. Weather, routes and elevation are all extreme as you make your way to the highest point on Earth. The team chose the northern route, located in Tibet, for a variety of reasons. First being the avoidance of the Khumbu Ice Fall, a notoriously dangerous stretch of crevasses and precarious, bus-sized blocks of ice that topple over or collapse with little to no warning. The second was avoidance of the massive, and potentially deadly, traffic jams that plague the more popular and highly traveled south side. Another northern route benefit, though not a factor in route choice for Jukes, was the approach. “One big thing to keep in mind though is that the Chinese government doesn’t allow air travel, which includes rescue helicopters. If you get into trouble on the south side, you can catch a chopper out and be back down in Kathmandu in a matter of hours. If you get into trouble on the north side… you’re just in trouble,” adds Jukes, “Or if you’re in really bad shape, they can drive you a full day to the border of Nepal where you can get flown out. But then you’re on the wrong side of the mountain and in a whole different country when it’s time to go home.” From the Northern route, the nearest airport is a two-day drive. The north route has several technical sections, including navigation of three cliff bands, known as “steps”, all at extreme altitudes. These steps typically have ladders to help climbers scale them, but are known to be sites of potential traffic congestion. The ladders are also known for being oriented differently from year to year, depending on snow levels. This year, below the infamous 30 foot ladder at the second step, a shorter, 10 foot ladder was tied to a large chockstone at its base, leaving the entire ladder slightly overhanging. Jukes had been climbing with the team’s camera man, Dave Ohlson, when Olhson started getting sick just below the summit. The pair, along with the Ohlson’s Sherpa, topped out, then quickly made the decision to descend. While still high on the peak, the team was caught in gale-force winds and forced to spend the night in Camp 3, at 8300 meters (~28,140’). “You’re still well into the death zone at that point, but we didn’t have a choice to move any further because of the conditions.” Jukes affirmed. The team overnighted at the extremely exposed and isolated Camp 3 then made their way down the next day in slightly better conditions, though even the improved conditions were terrible. They found themselves trudging through uncharacteristically (for Everest) wet and heavy snow, all while being battered by jet stream winds of 65-75mph. “There were times we were on our hands and knees, crawling to get down. There were a few times where we couldn’t even crawl. We had to sit there in one spot and stay as low as possible. If you tried to get up, you’d just get blown over. And to top it all off, my oxygen line was partially severed at some point, so I ran out of gas way earlier than expected. Essentially I was descending a majority of the upper mountain without supplemental oxygen which really slowed me down,” said Jukes. The slower-than-desired pace during descent, coupled with the harsh conditions and wet snow contributed to frostbite on eight of his fingertips. Jukes and the rest of his team set out for the 29,035 foot challenge with a purpose: to raise awareness on the issues of PTSD and veteran suicide; both topics very close to his heart as he has lost several friends to suicide in the past year. Sadly, while Jukes was on Mount Everest, Paradox Sports community member and Chad’s good friend, Dan Sidles, took his own life. In 2010, Jukes and Sidles climbed another Himalayan peak, 20,075 foot Lobuche, along with 9 other veterans who served in Iraq and Afghanistan and suffered the physical and emotional toll of war. That trip and the training leading up to it sealed their friendship through a mutual love of mountaineering. The climb and their individual stories were featured in the 2012 documentary “High Ground“. Jukes believes PTSD, mental illness and suicide all need to be part of an open discussion in order to reduce the stigma surrounding them. “When you’re involved in a veteran community, unfortunately suicide becomes a regular part of things… Many are striving to change it, but the process can be painfully slow, especially when nobody wants to even bring the topic up,” he said. Among his concerns around PTSD and veteran suicide are the lack of funding for, and reduced access to, mental health treatment, which results in untreated people “behaving inappropriately and ending up in jail or prison, where they may or may not get the care they need.” He hopes that opening up the discussion on mental health, and finding ways to make relatively small, earlier investments in treatment could result in significant positive changes. 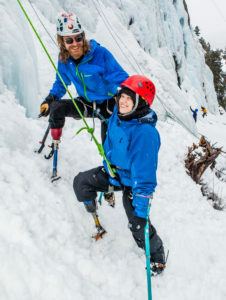 With his successful climb of the northeast ridge, Jukes became the second combat-injured amputee to summit Everest on May 24th – just five days after Boise, Idaho climber, Thomas “Charlie” Linville became the first via the same route. On the south side of the peak, another Paradox Ambassador, Jeff Glasbrenner became the first American-born amputee to summit on May 18th. An adaptive climber from India was also on mountain, but came up short of the summit. 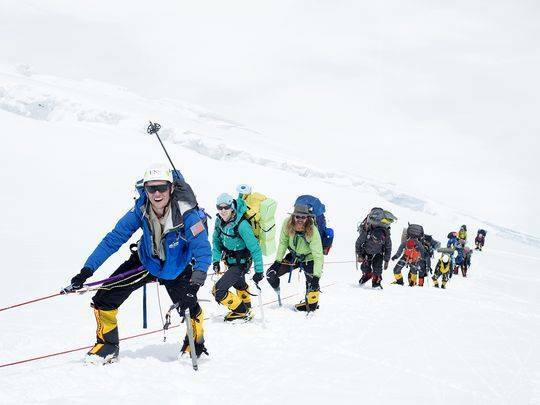 Needless to say, 2016 has a big year for adaptive climbing on Mount Everest. For Jukes, his Himalayan pursuits don’t end with a successful climb of the world’s highest summit. 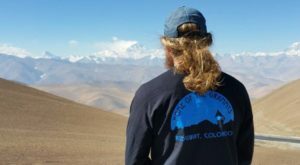 He is currently working on the logistics to return to Nepal, and to get involved in instructing at the Khumbu Climbing Center. Part of the Alex Lowe Charitable Foundation, the Khumbu Climbing Center teaches Sherpa safe and responsible climbing and guiding techniques. “On Everest, our guides were actually coming to me to discuss weather windows and timing for climbing pushes. It was an honor to have my skills be viewed as an asset by these professionals and I definitely wouldn’t be where I’m at without the support of Paradox. And to get to share those skills would really mean the world,” Jukes said enthusiastically. Though he is not expecting any long-term issues from the frostbite, his fingertips are still very sensitive and he is not able to rock climb quite yet. For now, Jukes is looking forward to doing some drytooling (climbing dry rock using ice climbing tools) near his home in Ridgway, Colorado, and is making a list of climbs in North America he is hoping to tackle. “The Moose’s Tooth in Alaska is definitely on my short list.” He beams. My Journey into Mountaineering and Acceptance of My Adaptive Climbing Experience.